Karimi, H., Najafi, A. (2013). A Hybrid Genetic Algorithm/Simulation Approach for Redundancy Optimization with Objective of Maximizing Mean Lifetime and Considering Component Selection. 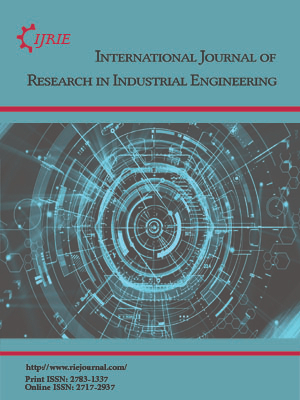 International Journal of Research in Industrial Engineering, 2(2), 35-46. H. Karimi; A.A. Najafi. "A Hybrid Genetic Algorithm/Simulation Approach for Redundancy Optimization with Objective of Maximizing Mean Lifetime and Considering Component Selection". International Journal of Research in Industrial Engineering, 2, 2, 2013, 35-46. Karimi, H., Najafi, A. (2013). 'A Hybrid Genetic Algorithm/Simulation Approach for Redundancy Optimization with Objective of Maximizing Mean Lifetime and Considering Component Selection', International Journal of Research in Industrial Engineering, 2(2), pp. 35-46. Karimi, H., Najafi, A. A Hybrid Genetic Algorithm/Simulation Approach for Redundancy Optimization with Objective of Maximizing Mean Lifetime and Considering Component Selection. International Journal of Research in Industrial Engineering, 2013; 2(2): 35-46. 1Faculty of Industrial and Mechanical Engineering, Qazvin Branch, Islamic Azad University, Qazvin, Iran. 2Faculty of Industrial Engineering, K.N. Toosi University of Technology, Tehran, Iran. In this paper, we consider a reliability redundancy optimization problem in a series-parallel type system employing the redundancy strategy of cold-standby. The problem consists of two parts component selection and determination of redundancy level of each component—which need to be solved so that the mean lifetime of the system can be maximized. The redundancy allocation problem is nondeterministic polynomial-time hard and is solved by a combined genetic algorithm - simulation approach. Finally, this algorithm is tested on 33 benchmark problems.